'Marvel Puzzle Quest' R113 Release Notes - D3 Go! 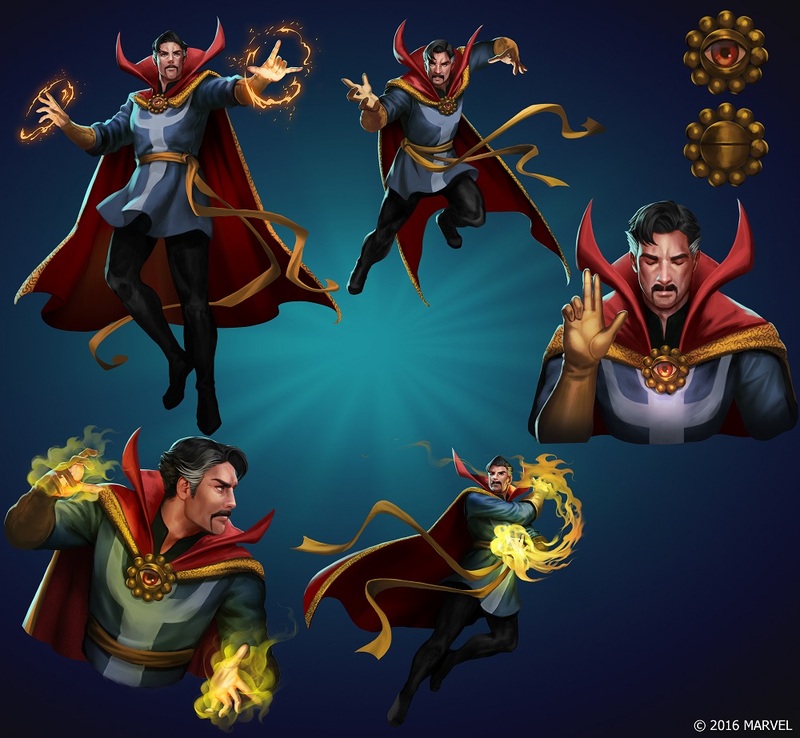 – Versus action with Doctor Strange! – S.H.I.E.L.D. Signal Intercepts are here. – Optimized game to save on memory and improve load times. – Players always have the maximum possible characters available when entering Team Select screen. – The “Join” Alliance button now disappears once you have joined an Alliance. – When characters have health in the 100’s of thousands, the number will no longer be partially hidden. – Fixed a rare bug where the Heal button would reappear when switching between characters. – Fixed various rare bugs during the early stages of the game. – Fixed a rare crash bug that happened when 2 players played against the same player in Versus battles. – Fixed a rare bug where players were not able to advance to the character select screen when selecting a mission. – Android: Game no longer crashes when signing into Google Play & Facebook at the same time from the Options menu. – Black Widow (Original)’s Espionage will now play a power banner when making a Purple tile match (when there is another character on the team that has a Purple Passive power). – Ghost Rider’s Penance Stare now works correctly against The Hulk (Bruce Banner) when The Hulk activates the power, The Other Guy. – Red Hulk’s Seeing Red Countdown tile now has the correct description. – Wolverine (X-Force)’s Recovery Countdown tile now has the correct description & sound effect. – Ultron’s Gravitational Force now has the correct description. – Deadpool (It’s Me, Deadpool! )’s Life of the Party now correctly activates when an ally takes the appropriate amount of damage. – Deadpool (It’s Me, Deadpool! )’s WHALES! WHALES! WHALES! secondary function, when you spend Deadpool Points to drop every whale on the team, now works correctly. – The Thing (Classic)’s Rock Solid now correctly activates when an ally takes the appropriate amount of damage. – Quake (Daisy Johnson)’s Coordinated Tactics now only reduces team damage. – Powers that target single opponents will no longer affect invisible characters.